Salwaa Francis Smith is a South African cook best known for her typical Cape Malay cuisine. Born and raised in Surrey Estate, Athlone on the Cape Flats to working class parents. She is the founder of Cape Malay Cooking & Other Delights, a recipe sharing website founded in February 2011. The site currently attracts in excess of 290,000 visitors per month. June 2015 sees the launch of her first self-published hardback cookbook. August 2015, Salwaa started an initiative called Cakes For Kids – free birthday cakes for less privileged children where they donate birthday cakes to mainly children living in care. October 2016 sees her first ready mixed spice range launched. Salwaa is currently offering Cape Malay Cooking Experiences to tourists visiting our city and who wish to experience life in a typical Cape Malay home on the Cape Flats away from the hustle and bustle of Cape Town City Bowl. Salwaa also cater for corporate functions, offer cooking demonstration as part of team building activities. 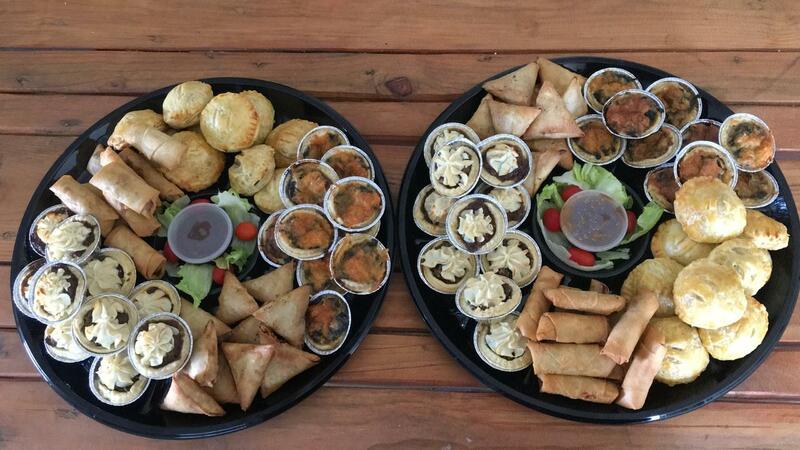 Salwaa also offer cooking lessons to anyone who wants to learn how to cook Cape Malay food. Her second cookbook will be release in May 2019. Salwaa is a wife, mother to four gorgeous daughters as well as grandmother to six adorable grandchildren. Salwaa, is now the third generation in her family who continues the Cape Malay culinary venture. Cape Malay Cooking & Other Delights keeping our heritage alive! Thank you for your time and effort to bring such lovely tastes nd likes to our lives. Cut each lemon or lime into 8 pieces (smaller if you using large lemons). Remove any seeds as you go along. Put the limes in a large bowl, preferably glass bowl. Add the salt and toss with the lemons. Cover the bowl with cling wrap and leave for 2 weeks, give the bowl a shake every other day. After 2 weeks the lemons should be soft and slightly discoloured. Pour the lemons is a colander, give it a quick rinse under running water. Leave the lemons in the colander for a couple of hours in order for all the water to drain away. Return the lemons to your glass bowl. Heat a saucepan and gently heat, stirring all the time, the bariship, mustard and methi seeds take care not to burn. Coarsely grind the spices together in a spice grinder. Add the rest of the spices and mix. Add the spices and the green chillies if using, to the lemons and mix. My new Cape Malay Cookbook will be available from 16th December Insha Allah. Aslm,send me some nice cookng n baking tips kanallah n shukran waslm. On my facebook page there are lots are yummy dishes to try. Thnx so much 4 this awsome recipes…won’t mind 2 receive everyday….. Morning can I pls also receive recipes via email.Love your recipes.My little one Farzaans likes helpping me when I’am bakking and cookking.I love your FB page. Subscribe to my blog by entering your email and you will receive my posts. No problem. Shukran to you! I’m from New Zealand .have you got a book I could please buy for my mom ??? Hi, the Cape Malay recipe book will be available at the end of this year. I would love a copy of your recipes . Realy like and enjoy recipes.Pls send recipes via email or facebook.Thanks so much. I love cape malay I’ve been using the recipes since 2007 ,I bought 2books at CNA just before I got married August 2007 and my husband love my cooking & baking . Thank you, please keep an eye for the new Cape Malay Cooking Recipe book which is being released at the end of 2014.
please forward me some lovely recipes via email. Send me recipes to my email address. Pls send me your recipes. I can’t wait to start preparing your recipes. I love your recipes. شكران for a wonderful page! I love your recipes! It has helped me allot! Asalaamu-alaikum. I’ve seen some of your delicious,easy to use, recipes on Facebook and would love to see more; especially since we are about to start Ramadaan. Please email me your recipe ideas for the fast. I would really appreciate it. Shukran. Your are really incredible, could i have all your recipes from now on pls. I really love this page,would love to get all your recipes old and new kanalah…. I just love the Cape Malay Cooking Style. And I love to bake for myself and my family. I love all your Recipes! Slm absolutely love your recipes, keep up the great work. Shukran. Looking foward to receiving all thoseb lovely recipes! I love cape malay cooking!!!! Thank you for share all these good recipes. I just love your recipes. plse email some of your recipes? Plz add me to your mailing list kanallah. Love the recipes, shukraan for you all the awesome ideas! Salaam. Shukran for your efforts in putting the recipes together. I would love to receive them via e-mail rather than saving it to my fb timeline. Plz email me ur recipes. Thank u! Love the recipes,plz keep sending them. Love ur recipes sister!!! Jazaakillah khair! I enjoy your recipes tremendously,especially the cakes!! I love Malay cooking. It is filled with so much flavour. Those spices are just..mMmmmm!!! Looking forward to this. I miss these cooking influences now that I reside in Australia! You r the best “Cape Malay” thanks once again 4 all the delicious recipes. I love ur recipes & ideas! Please share sum mre winter quick and easy puddings! I’m looking for desert recipes. I’ve got crayfish tails but wants to make something else then curry any sugestions ? I. Love ur posts and recipes. What an awesome page,so easy to get mouth watering recipes.thanku thanku!! I would apprecaite more of the recipe and I like them looking forward for recipes shukran much apprecaited! Simply just love this page!! I jst love cooking with CapeMalayCooking. Its a guide for beginners. Thank you for fantastic recipes. I would love to see more recipes and lots of useful tips to use in the kitchen. I’m also looking for a lovely chocolate brownie recipe. thanks so much for your delicious recipes that I receive regularly. they re easy to follow and simple to make. always successful. please can you let us have a naan bread recipe, preferably without yeast. will really appreciate this. had it recently at a function. I certainly have a naan recipe. I’ll add it my blog asap. In the meantime have a look on my page for the recipe. i am new to this website,how can i see ur recipes. I,m divorced woman, who is terible in da kitchen,but likes to brou. This recipes wil guide me through my nxt marraige. Some, I cnt view properly,please fwrd them via e mail. Thanx 4 ur generosity by posting these recipies. Regards. I love your recipes I have a very old cape malay cooking book that I received as gift and I love every bit of it . Need some cooking lesson if possible. Let me know. And receipt breyani.